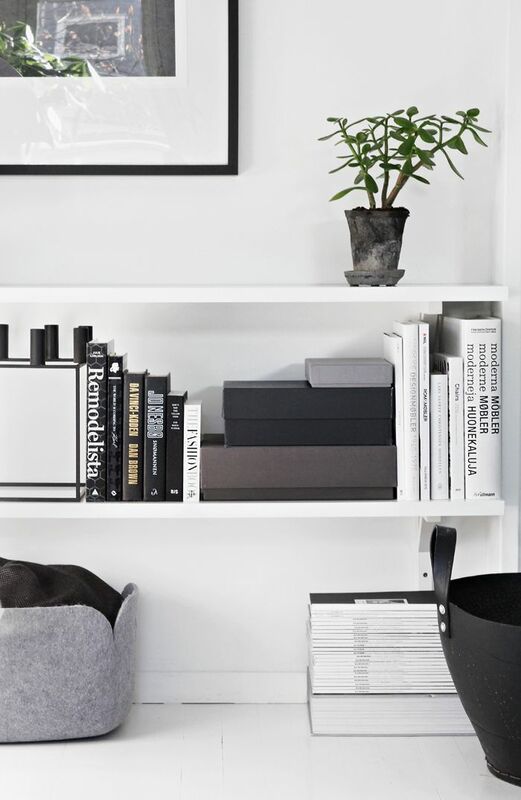 I am so in love with what Nina Holst behind the stylizimo blog recently did in her livingroom area. It all looks so cool and calm, but without getting boring in any way. The black accents work very well in contrast to the all-white couch, walls and floor - and check out that amazing rug that really elevates the room to a whole new level. I also like, how she uses green plants to make the place look more homely. I definitely wouldn't mind to just kick back in that couch and relax - preferably barefooted so that I could really feel that soft rug under my feet.